Nature’s Rest is 100% committed to Quality, Consistency and your Comfort! 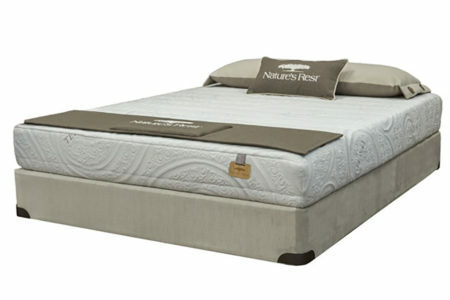 Our Sleep Systems are designed to make a physiological difference in your sleep. We use premium quality materials, fabrics and processes to ensure you have superior comfort. In the spirit of excellence, every piece is inspected and handmade by devoted experts that take pride in their craft. Experience a perfect harmony between elegance and unparalleled comfort for an extraordinary value!